India’s indigenously developed nuclear capable Prithvi-II ballistic missile failed to take off during a user trial from the Integrated Test Range at Chandipur off the Orissa coast on Friday apparently due to a technical problem, defence sources said. 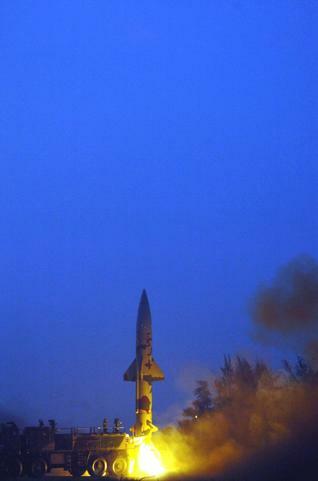 “The failure to lift Prithvi-II was due to a snag either in the main missile or the sub-system, including the launcher,” they said, adding the test-fire was slated to be held as part of user’s trial by the armed forces. During today’s planned trial, a noise could be heard as smoke billowed from the launch site around the time of the blasting. Efforts were on to ascertain the exact reason for the failure and defence scientists were examining the matter thoroughly, they said. The last four user trials of the surface-to-surface missile had been successfully conducted from the same site in the ITR. The last trial was conducted on June 18, this year.